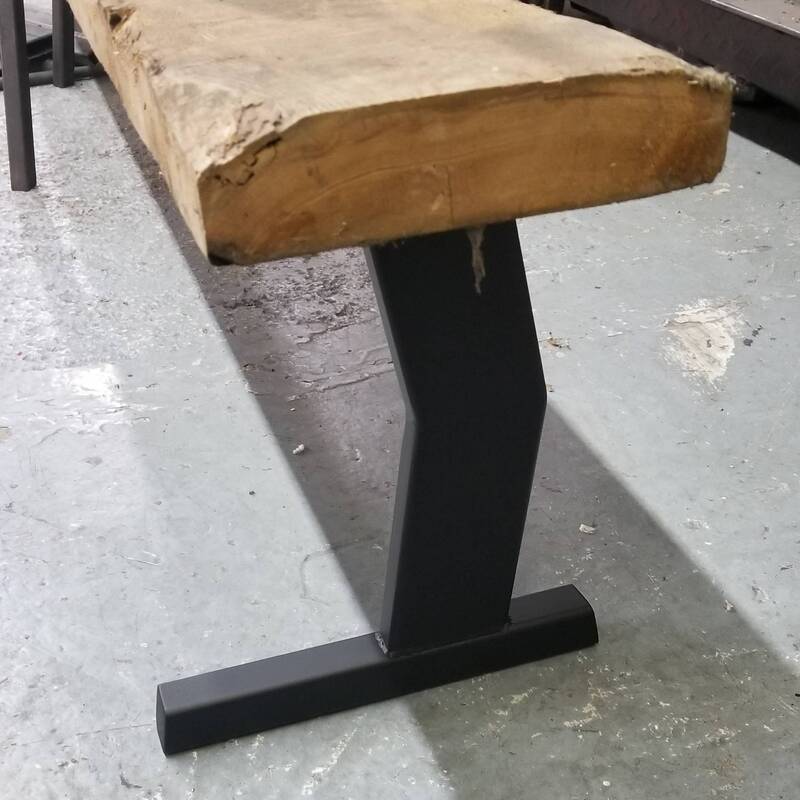 Part of the structural series, these industrial style coffee table / bench legs are made of heavy gauge hot-rolled steel tubing. 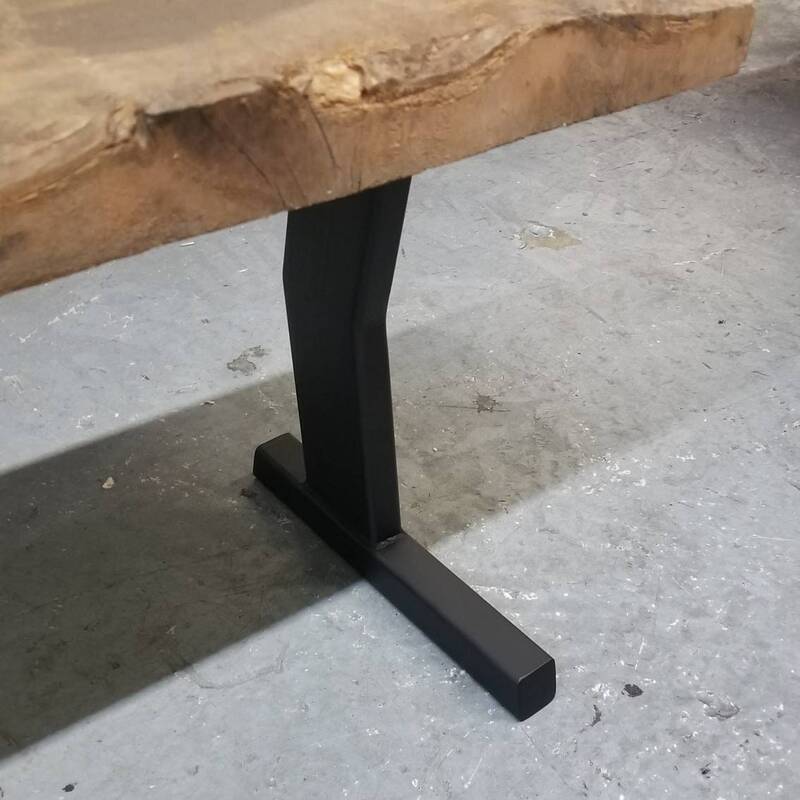 Fully welded, with feet and a generous mounting plate these super-strong legs are the perfect complement to any feature-quality wood-top coffee table. These come raw, clear coated or in flat black. Other finishes can be applied - drop a line and we'll get you sorted out. 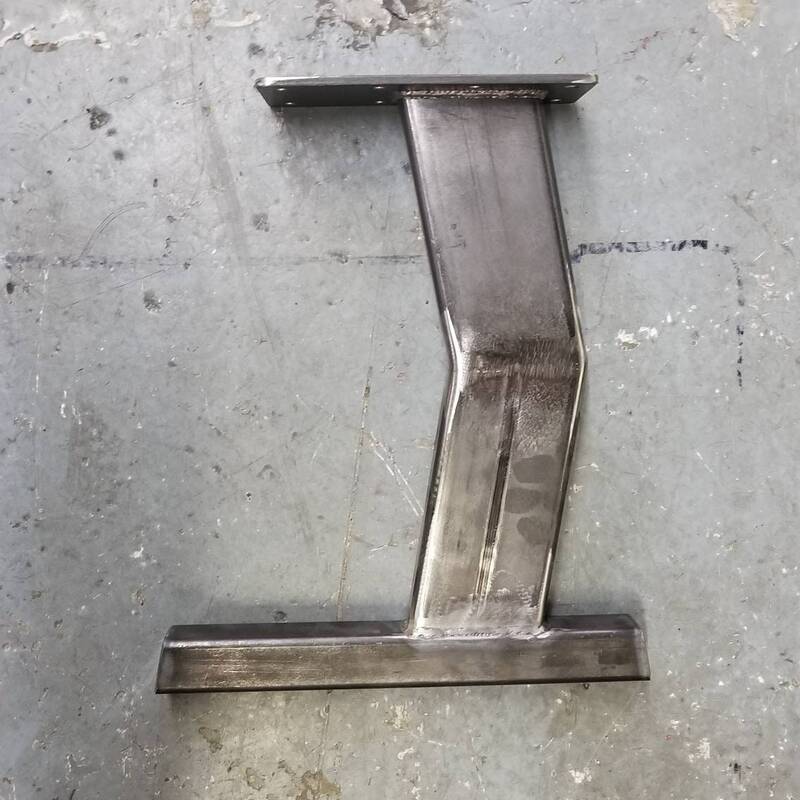 They are available in a few standard sizes, but, remember, custom is always an option! Top plate: 7" x 3" x 3/16"
Drilled Holes: Sized for 1/4" lag bolts. 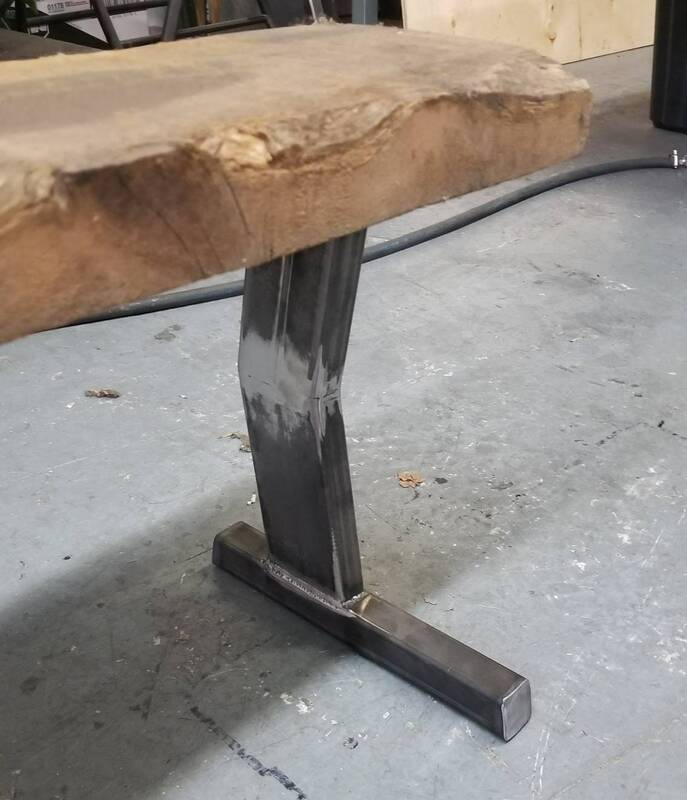 Foot: 11" x 1-1/4" x 3/16"
Legs: 3" x 1" heavy gauge material. 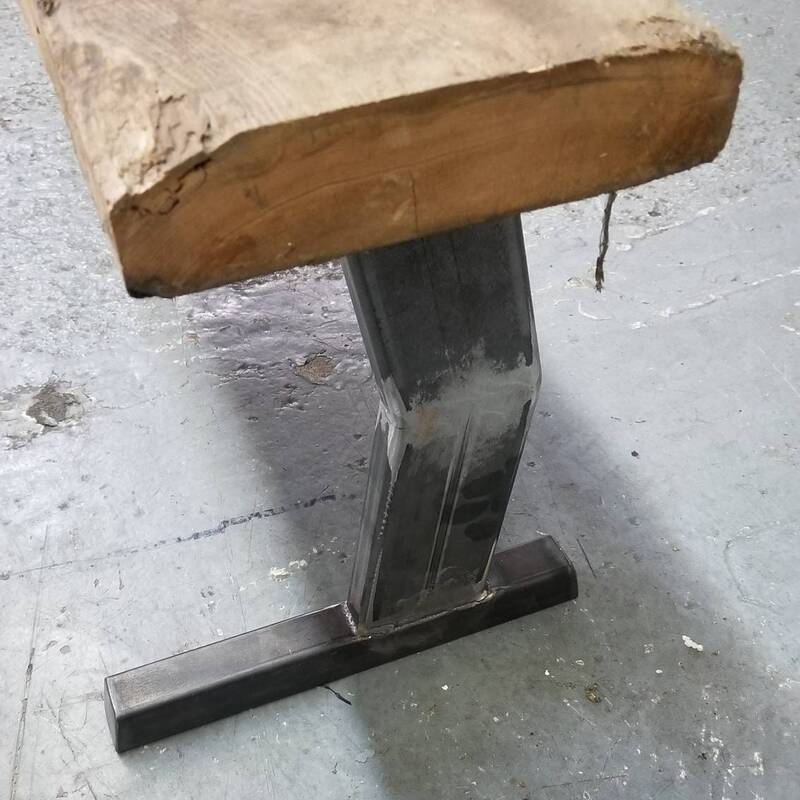 These are also awesome for use with benches.